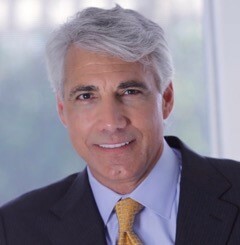 WANTAGH, N.Y., September 17, 2018 – Pulse Center for Patient Safety, Education and Advocacy is very pleased to announce that Mr. Gary Stropoli has joined its Board of Directors. Stropoli, who retired as Chief Financial Officer of Munich Health NA, a healthcare finance company, is now a business management adviser. He is a certified mentor with the Small Business Administration, mentoring university students and early career business personnel. Gary holds a BBA in Finance and Business Administration from Hofstra University and an MBA with Graduate Honors from Regis University. He is also licensed by the New York State Department of Financial Services as an Agent in Accident/Life & Health. “I recognize the significant impact of patient safety on the entire healthcare system, from patients and their families, to providers of healthcare services and the payers in the healthcare system as well,” Stropoli explains. Gary’s passion for excellence in healthcare, his drive to inform and educate people to help them achieve better healthcare outcomes, and his personal experiences with the challenges of patient safety have prompted him to join Pulse in the pursuit of its mission.